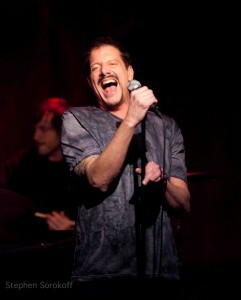 I did another concert at Birdland this past Monday night and had the best time vocally I’ve had in a very long time. Sound is a huge determining factor in how the vocalist will play their instrument. It can be a gift or a curse depending on the system. I could go on for paragraphs about the science and psychology of what can happen at the mic, but there are no words I can offer that will save you from having to experience this first hand! As soon as you hear yourself, and it’s not the sound you thought you were sending, you will start to compensate and try to EQ your own voice. Forget the volume, that’s a given, I’m talking about the lows, mids, and highs, that are your voice, the levels that get changed for every singer that stands at the mic. Sound is an ever changing event! Sound check in an empty room is no real indication of what it will feel like with people, so that’s just step one. You need to know your voice and you need to know your own bad habits before you can expect any engineer to help you. I know that in general, people tend to pull up too much ‘top’ for me, and I don’t need it. I’m bright enough on my own thanks, but that is less common. If I hear myself too bright, I immediately get chesty and throaty to beef it up a bit, and I’m tired in 15 minutes. If the monitor is not loud enough, I will start eating the mic. If there’s too much reverb in the monitor, I find it hard to hear my pitch, so I tend to pull off the mic too far, then the band can’t hear me, and then the room sound is off. So these are the things I know and look out for at the gig. Also, backstage acoustics and air quality can be devastating before a show. The dressing room at Birdland is beautiful and there’s great temperature control back there also. But, its mostly a long curtain against a long wall, great for sound proofing so you can feel free to sing back there, but very dead! And that’s all you need to know, that it’s a very dead sound in there and not to try to ‘juice it up’ yourself. The bathroom is bright bright bright, so I can go in there for a quick check of my voice. I’ve never been one that wants to be too ‘diva’ about his voice. I don’t walk around with scarves on my face and throat etc. But, there are some things that are essential to your ability to perform and you need to know them. For whatever reason, they all lined up for me this time out and I felt stronger than I have in a while. Singing is Fun!! !